SEO, is it right for you? You have a problem. Your website is not working for you. This is because your competitors are using Xperts like us to market their brands. 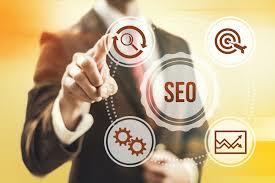 You need a SEO specialist for your Online Marketing/Search Engine Optimization. Every year, the internet of things change and as consumers; we change too. Stay on top of these trends by hiring TechXperts as your SEO agent. No cheap tricks, no computer algorithms. A real specialist will handle your website and attack each month. 70% of people do their research online. 74% of users are using their mobile devices. It is time for you to join the modern world and capture these customers to direct them to your website. Aggressive marketing is always key to a successful business and online marketing is the new trend. Optimizing your website, so search engines will rank you higher, is how you drive customers to your business. SEO is the new way to market. Search Engine Optimization is the new front for your marketing. EVERYBODY is searching and purchasing online today. Maintaining your website, organizing sales presentation, social media blasts, blogging are a few techniques that must be done for you website to gain rankings on Google. NOBODY OPENS UP THE YELLOW PAGES ANYMORE! We stay up-to-date with the latest trends and attack each month with a new plan to get your website noticed. With TechXperts, you get a person maintaining your account NOT a computer software algorithm. Our plans start as low as your budget allows to our Platinum full Service plan. Customized your package or get our special deals to get your website noticed. Need a Website? Our design team will create one for you within two weeks. Click here. © 2011-2019 TechXperts | All Rights Reserved.